With daily news coverage and frequent warnings from the government, nobody living in Korea could have failed to have noticed the recent increases in fine dust and other pollutants in Korea’s air. For a resident with a keen interest in the environment like Seoul International School student Jaewhee Park, this is a problem that can’t be ignored; it intrudes into daily life, and is an issue that needs to be tackled. Instead of simply sitting and watching as pollution levels continued to rise, Jaewhee decided to take a proactive approach, and to investigate the viability of geothermal energy, and to explore its potential as an alternative to dirtier forms of power generation such as burning fossil fuels. Working as part of an international team alongside an engineering student from University of California, Berkeley, as well as two fellow high school students from Liaoning, China and Virginia, US, Jaewhee carried out an in-depth analysis of the potential of geothermal energy, creating models and performing detailed calculations relating to heat distribution, as well as examining technical aspects of utilizing geothermal power such as necessary aquifer depths and rock porosity. The team also looked at factors that contribute to the efficiency of geothermal power, and created economic models to test how financially viable this kind of solution would be. Whilst geothermal energy use is already established in areas such as Scandinavia, Jaewhee’s study suggested that it may be viable to expand geothermal energy use across the globe, which would allow us to reduce our reliance on traditional energy sources such as fossil fuels. The team have almost finished turning their study results into a paper, which they hope to submit to a journal for publication later this year. 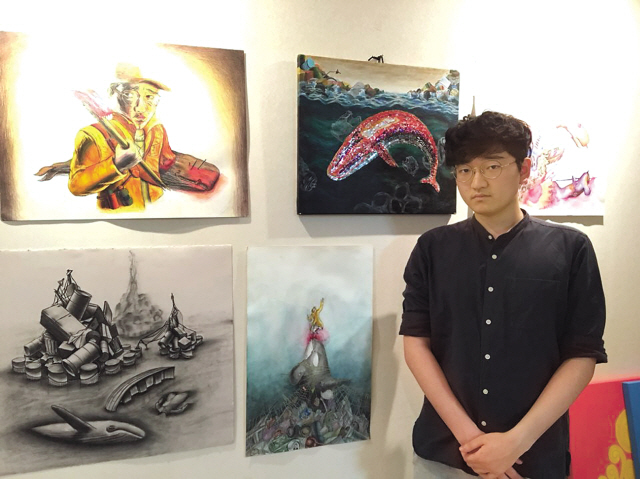 Although the geothermal project was primarily technical in nature, Jaewhee has plenty of other strings in his bow: a talented artist, he is keen to explore ways in which art and design can be used alongside more technical research to enhance environmental campaigns, and is currently working on an environmental advocacy project along with two other Seoul-based students. Through creating posters, videos and other media, the team hope to raise awareness of environmental issues, and are also taking part in the prestigious international Bowseat contest for environmental advocacy. Although he has over a year of high school remaining, Jaewhee already has one eye on the future, and the ways in which he can keep working to build a better, more environmentally-friendly world. After graduating, he hopes to study a range of subjects at college in order to gain a suitably broad knowledge base that will allow him to pursue a postgraduate qualification in urban planning, especially aspects of urban design that relate to environmental sustainability.